At The Edge host Sean Martin is joined by Laz, founder of Blue Lava, and Andy Chandler, Senior Vice President of Barcelona-based Blueliv. 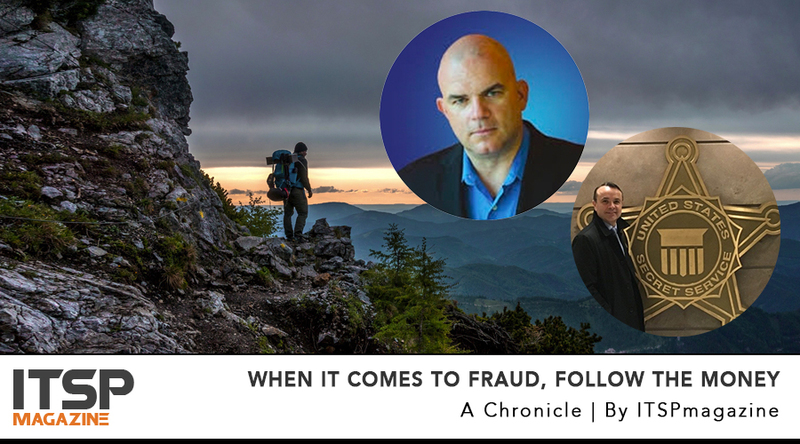 The three of them had the chance to connect during Black Hat USA 2018 in Las Vegas to talk about business email compromise and the fraud that results from these phishing-based social engineering attacks. Laz and Andy share their views from both the CISO perspective and from the underground research and law enforcement perspective, respectively. The bottom line? If organizations continue to drive their security program with compliance and fail to understand how the cybercriminals view their organization from head to toe, they will always be behind. Sometimes you have to take the perspective of the tech for a moment and follow the money if the money is what you are really trying to protect. Today’s episode is brought to you by our At The Edge sponsor, Edgescan. Edgescan is a software-as-a-service (SaaS) based solution that combines advanced technology with consultant expertise to reduce risk, reduce cost and help ensure the deployment of secure applications, cloud platforms and hosting environments. To the team at Edgescan: we are grateful for your support! Andy Chandler is the Senior Vice President of Blueliv, a 'Next' Generation Threat Intelligence business headquartered in Barcelona, Spain. Demetrios Lazarikos (Laz), a recognized visionary for building Information Security, fraud, and big data analytics solutions, is the Founder and IT Security Strategist for Blue Lava Consulting. Laz has more than 30 years experience in building and supporting some of the largest InfoSec programs for Financial Services, Retail, Hospitality, and Transportation verticals. Laz is a three time former CISO and some of his past roles include: CISO at vArmour, CISO at Sears, CISO at Silver Tail Systems (acquired by RSA/EMC), VP of Strategic Initiatives at ReddShell Corporation (acquired by TrustWave), and a former PCI QSA. Laz is an Adjunct Professor at Pepperdine University's Graziadio School of Business and Management, holds a Master’s in Computer Information Security from the University of Denver, an MBA from Pepperdine University, and has earned several security and compliance certifications.